After escaping the monstrous kaiju sent to destroy them, Neo-Khaos and the stragglers moved to the abandoned Yamamoto Naval base to regroup and strategize their next move. They experienced surveillance drones to locate them, another abandoned naval base to refuel which wasnâ€™t abandoned. The Program engineered a new menace. That was just the first leg. After the first leg, they had to negotiate through many different obstacles to get to their Baltimore goal. They all countered the post-apocalypse with intentional romance. Out of all the devastation, they had to rebuild humanity. Will they defeat the Program? Can they even get to Baltimore from Hong Kong with no sailing skills easily? What new and different heinous attack mechanisms does the Program have to destroy Humanityâ€™s last remnants? Find out in book two of Cyber Thought Police, The Natural Selection Retaliation! 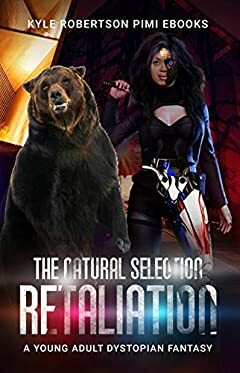 Find out what happens in The Natural Selection Retaliation: Cyber Thought Police Book Two!